Share JACKSON STONE BAND's EPK! earBuzz Review: The Jackson Stone Band has put together eight high-energy metal rockin' tunes that land somewhere between Nugent, REO Speedwagon, and Blackfoot - balls to the walls rock, with Hammond organ, and a vocal quality that comes straight out of Alabama. 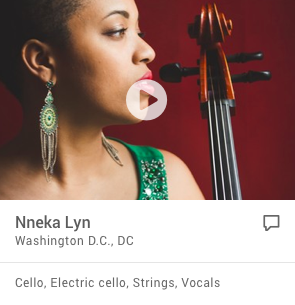 The musicianship, backing voices, production, and performance are first rate. 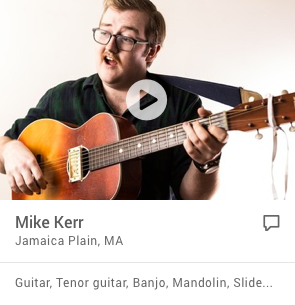 The highlight is singer/guitarist, Dave Verno's voice. The growl and phrasing is passionate and believable. The guy lives these songs - and it bleeds from the disc. That passion is matched by the band and all the background singers. "Risin' High" is a tremendous tune with all the right components that make an anthem rocker - great guitar riff - interplay between the vocals and the guitar - chorus that is infectious - and blazing guitar solo. The highlight of the CD is the ballad "Seven Days" - it's a blues based rocker that doesn't stick to the 1,4,5. .and Verno soars vocally. Not much more to say - for those about to rock - we serve up Jackson Stone Band's music - great stuff. When I heard Jackson Stone’s “Rising High” album last year, I was hooked. I love it when I hear a great Southern rock band that is from outside the south. 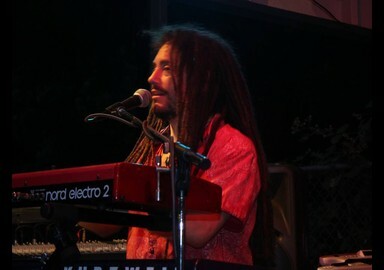 Jackson Stone, from California, really hold the south close to their collective heart, a fact that is undeniable when listening to this double - CD set, recorded live at Konocti Harbor Showroom on August 7, 2005. Dig it, if you can. 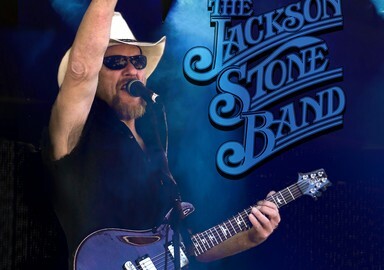 Jackson Stone is one fine Southern flavored rock and blues band. Kick out the jams, brothers and sisters. What an excellent high quality southern rock masterpiece. If you are serious about music you should go for this album! Outstanding stomping southern rock music...the future is bright! Over the last few months I have had quite a few Southern Rock CDs sent to me here in England. This one rates amongst the best. Have played it over a dozen times and it gets better each time! It is outstanding, stomping Southern Rock...meaning that the future of this whole music genre is bright and fresh!!! This cd is so good I can only hope it gets the recognition it deserves. As any fan of the music knows, there's a lot of so-called southern rock out there which is anything but. This is the real deal despite originating in California! To “Heavy Metal Outlaws” to “Risin’ High,” Jackson stone pulls off a sound that is a little Skynyrd, a little Outlaws, and a whole lot of passion. JACKSON STONE BAND CD "RISIN' HIGH"
JACKSON STONE BAND CD "DOUBLE LIVE"
Opening act for Hank Williams Jr. The heritage that southern rockers such as Lynyrd Skynyrd, Charlie Daniels and .38 Special brought to America’s rock scene changed the music landscape forever. Their hard driving sound appealed to the hard riding fans that knew what a good time was all about. In northern California, amongst the giant redwoods a new addition of this All-American spirit has emerged. 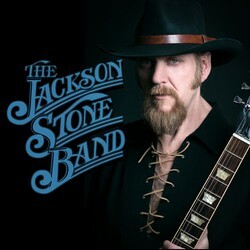 The Jackson Stone Band with David Verno at the helm has been refining the southern rock sounds that took America by storm more than four decades ago. Today, these five men, together with their instruments of rock have given the original sounds of southern rock a rebirth, while adding to the mix a new era of home grown southern style rock and roll that shakes the band stand and thunders across arenas giving a powerful wake up call, that declares to the world. Written By: David Verno Jr. Girl gonna make me crazy. Woman you are a walking crime. Give me a double dose of your potion. I require fire an desire. And honey you’ve got the devotion. My temperature is Risin’ High! Takin’ three steps back set for attack. Girl you got me on fire_! Well I saw you at our show by the backstage door. Lookin’ like my kind of trouble. Bout the price to be paid. Make no mistake, got me on the take. Set my world on fire. Making love with you, is all I wanna do. Honey won’t you quench my desire. Come on_! Yeah_! Yeah_! Come on_! Yeah_, yeah, yeah, yeah, yeah. Call up the doctor ! Daniels__! Got a hold on me. I say southern rock is here to stay_. Seven days never felt so long. It takes up all my time. Seems like two years since we made love. Turn around baby you were gone. Its been so long_, long_, long_. Stormy wheather seems to turn you on. Well Ive been down since the day you were gone. Well i can’t stop thinkin’ about you. Its been so long_ long_ long_! Girl you’ve got me losin’ sleep. If i don’t_ get my_ fill_ the river runs dry. Feelin’ so good, I don’t wanna slow down. And lets fly__, honey betta gimme the wheel. We’ll get by__, baby, don’t cha no how I feel. Four lanes of traffic, got me stuck to the right . Feelin’ keyed up, its saturday night. Better hold on tight, cuz you know we got to pass. Lets fly__, honey betta gimme the wheel. Car up ahead pulling off to the side. I said, go! go! go! I got those hometown blues again. Thinkin’ back on days of past. You know I can’t go back I know. Lots of whiskey! And lots of wine. Women , parties, and rock n roll. My love for my music has taken me far away. But miles_, can’t erace, memories like these. If it wasn’t for my goodfriends, and my family. Well I wouldn’t be here today. Well its been to long, too long! I got three hundred miles to roam. Think I’ve Seen that Look Before. It Could Kick Down Any Door. Guess Its Love Or War Again! I Can Tell That Your Hungry. Like A Shark Thats Tasted Blood. And I Know Its Gonna Blow…. Who baby are you seeing tonight? You’re gonna take him out, show him the town. Baby, I wont be there when he lets you down. I know your tricks, they’re always the same. Girl’s like you never feel the pain. You’re gonna take his heart n’ lead him around. I wont be there when he lets you down..
What else, can I do?